Is Meniere’s Disease Eligible for Disability Benefits? Meniere’s disease is a condition caused by hearing loss or imbalance. It is characterized by episodes of vertigo. This is an inner ear condition, typically affecting only one ear. However, if the condition progresses, it may move to both. The inner ear is responsible for hearing and balance. Typical symptoms of Meniere’s disease include vertigo or a spinning sensation, hearing loss, tinnitus (ringing of the ears), and ear pressure. As a result of the vertigo, you may also experience nausea and imbalance. Meniere’s disease is diagnosed by having two episodes of vertigo, each lasting 20 minutes or longer, or by a hearing test. This condition can also be diagnosed with history and physical examination. An audiogram will be used to determine hearing loss and to rule out other potential abnormalities. If you are diagnosed with Meniere’s disease, you will likely be treated with anti-nausea medications, hearing aids, and therapy including vestibular rehabilitation. You may also be recommended to follow a low sodium diet and to avoid caffeine and chocolate. Suffering from Meniere’s disease can be quite disabling, depending upon the severity of your vertigo, tinnitus, or hearing loss. If the symptoms of Meniere’s disease are affecting your ability to maintain a regular full-time schedule at work, you may be eligible for disability benefits. There are two ways disability can be proven through Meniere’s disease. The first is through one of the social security administration’s listed impairments. The second is through your residual functional capacity. To prove your condition meets one of the social security administration’s listings, the administration will consider listing 2.07 for disturbance of labyrinthine-vestibular function. This listing diagnosis is characterized by frequent attacks of balance disturbance, tinnitus, and progressive hearing loss, with disturbed function of vestibular labyrinth demonstrated by caloric or other vestibular tests and hearing loss established by audiometry. To prove your condition meets this social security administration (SSA) listing, you will need medical evidence documenting a diagnosis as well as vestibular testing noting balance disturbance and audiologic testing noting hearing loss. Thus, this SSA listing is quite difficult to meet, as it requires a significant amount of medical testing. If you do not meet this specific listing, then the SSA will determine the impact your condition has upon your functional capabilities. 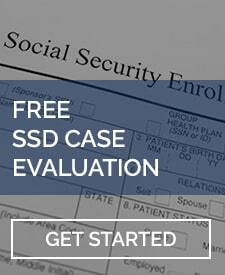 The SSA will review your physical abilities along with your mental abilities. This is done by assessing your medical records — in other words, by looking through your doctors’ notes to see what they have noted in their examinations along with their treatment recommendations for your condition. This part becomes tricky, as most employees of the SSA do not have a medical background. In the first stages of the application process, the SSA will hire medical doctors to review the medical records and decide. While this sounds like a great idea, the SSA does not differentiate doctors by specialty. This means that the SSA may hire a pediatrician to review a 60-year-old male’s claim that he suffers from Meniere’s disease. This pediatrician would have zero experience in treating adults, nevertheless in treating adults with severe vertigo and hearing loss. A better person to evaluate this type of claim would be an otaryngologist. However, because the SSA does not specify which specialists should be reviewing which types of cases, legitimate claims are often times denied in the beginning, thereafter requiring a hearing before an administrative law judge (yet another individual without medical training). To help combat this issue, you will want to hire an experience disability attorney — someone who has worked with vestibular dysfunctions previously and knows how to properly present and argue a claim. One way an experienced attorney may get around the specialist issue is by having your own doctors write statements about what they believe your functional capabilities are. In any event, once the SSA has determined what it believes your functional capacity to be, it will then determine how that functional capacity impacts your ability to work. Are there jobs available that can be performed with your limitations? The SSA will first determine whether or not you are capable of performing your past relevant work. Next, it will determine if there is other work you are capable of performing. To determine your past relevant work, the SSA will consider all jobs you have performed in the past fifteen years, as long as you have worked them long enough to learn them and have earned substantial gainful activity (SGA) while performing the job. Jobs are broken down into three skill levels. Individual job titles and skill levels can be found listed in the SSA’s dictionary of occupational titles. The skill level of a job determines how long the job requires to learn. Unskilled jobs typically take 30 days or less to learn. Semi-skilled jobs take 1-3 months to learn. Skilled jobs take anywhere from 4-6 months to learn. If part of the work you did in the past was as a customer service representative, but you performed the job for 3 days total, this will likely not be considered as part of your past relevant work. This is because a customer service representative position is a semi-skilled job requiring it to be performed for at least 1 month to learn. The second requirement for the position to be counted as past relevant work is for you to have earned SGA. SGA is a monetary amount that you have earned each month. The amount of SGA changes every year due to inflation. In 2018, SGA was $1,180. What this means is that, in 2018, for a job to count as your past work, you must have earned at least $1,180 in one month while performing the job. If not, that job will not be considered past relevant work. Once the SSA has determined your list of past relevant work, it will then compare the requirements of those jobs with your residual functional capacity (RFC) or functional limitations. If the symptoms of your vestibular dysfunction preclude you from performing your past work, the SSA will then determine if you are capable of performing any other work in the national economy. Typically, an individual suffering from Meniere’s disease will be reduced to performing unskilled work. If all your past work was performed as semi-skilled or skilled, then your past work will be ruled out. However, you would then need to prove you are unable to perform unskilled jobs. One way to do this would be to prove your condition would cause you to be absent more than two times per month. This can be done through documented flares or by a written statement from your doctor. Proving your diagnosis of Meniere’s disease makes you eligible for disability benefits is not an easy task, but it is not impossible. It simply requires a thorough knowledge of the social security system and of what medical evidence is needed to prove the disability. 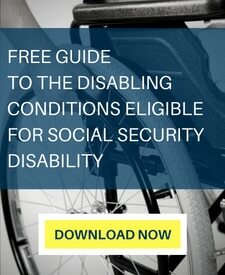 It is highly recommended in this situation that you obtain help from an experienced disability attorney throughout the disability benefits application process.